United Memorial Gardens welcomes many visitors every year from near and far. Most visit loved ones, while many come to experience the historic and peaceful nature of the Gardens. United Memorial Gardens provides a quiet and serene atmosphere to honor loved ones and reflect on memories of lives passed. Founded in 1929, United Memorial Gardens features 30 gardens on a beautiful landscape on 108 tree-lined acres which serve as a sanctuary to a wide variety of wildlife. United Memorial Gardens is in Plymouth, on the southeast corner of Joy and Curtis Roads, with the southern border of the Gardens bordering the M-14 Freeway. A strong reputation and convenient location ensures United Memorial Gardens will be here for centuries to come. We welcome you to United Memorial Gardens! Click below for more information or to schedule a complimentary tour. 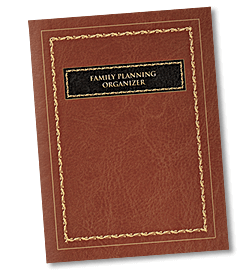 We will provide a Family Planning Organizer as a thank you gift for your visit!